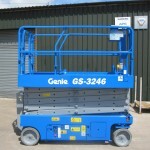 The Genie GS3246 has an impressive working height of 11.75 metres with a net weight of just 2,812kgs. It is available with non marking, solid tyres. Excellent battery life therefore making it the choice of contractors and end users alike. 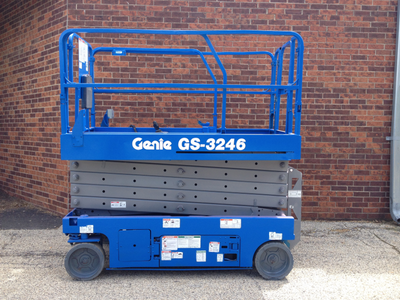 Compact, robust and reliable are just some of the characteristics of the Genie 3246. 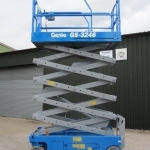 The Genie GS 3246 is commonly required for internal projects including mechanical and electrical installations, hence why it is ideal for warehousing and factory operations with its narrow width of 1.17 metres. All machines will have a new Loler prior to exchange. Service contracts are also available on request.